Molly Flanders: I'm Late, I'm Late for a Very Important Date!!! A Giveaway!!! I'm Late, I'm Late for a Very Important Date!!! A Giveaway!!! I could go into all my excuses for being late to post about the Sew Mama Sew giveaway, but I will spare you...you really don't want to hear me whine....waaaa! Actually this could be my wish for all of you the entire year long!!! Here is what you need to do to enter. Tell me your very favorite holiday decoration in the comment box! It is machine quilted with Aurifil Thread and the back is a gold velveteen. The braided roping and felted decorative do-dads are wool. Now scoot over to Sew Mama Sew and enter some more giveaways....go crazy!!! Tis the season of Happiness!!! I wish you much JOY!!! Joy has been my favorite word all year. I would love to win this. Thanks for the opportunity. Cheery swag indeed! I was thinking and thinking about what my favorite holiday decoration was... I love garlands, wrapped presents, snow... but then it hit me, my absolute favorite is white Christmas lights! I think you could lots of other decorations but without lights (or glowing candles!) it still wouldn't have that magical holiday feeling. My fave ornament is one my now 8year old daughter made when she was 5. It is her school picture glued on to a black and hangs with an eye hook and ribbon. Love it. Favorite decoration - lights. Wow! What a great decoration! Joy is definitely a year long word to live by. I really liked your mini tutorial on how you made these letters, would love to have this to hang over our door! My favorite holiday decorations have always been our Nutcracker collection. When I was little, we'd pick one out each year. Now that I'm married and have my own little girl, she gets to pick the nutcracker :) Love passing on traditions! I love a good wreath, myself. Thanks for the giveaway! Such a lovely giveaway, not too late at all. I love the little white mini lights, and the old glass ornaments from my parents that went on the tree when we were kids, and wreaths, and flowers, and I guess I love most of the christmas decorations. I love putting up my Christmas tree every year..full of 38 years of ornament collecting! Winning your clever decoration would fill me with "JOY"! So pretty! :) I'm so bored of the decorations we have, I'd love to spice them up a bit with this lovely piece. oh my goodness!!! i'd LOVE to have a molly flanders original!!! this is really cute, I'd love to win. Sweet : ) What a fun giveaway! My favorite decoration is an ornament that is a bee hive with a sweet bee on it. Oh! Fashionably late to the party, I see! LOL! As I sit gazing at my half decorated tree I'm torn between my cross stitch boot (made many years ago in ugly country colours!) or my mother's delicate fragile glass(?) Santa! This JOY decoration with a glimpse of the Eiffel Tower would take pride of place in my little home! Thanks for the giveaway! My favorite Christmas decorations are the stocking I made for my children when they were babies. They still hang on our fireplace and my daughter has made similar one for each person as the family grows. This is so cute and festive! My favorite decoration is a good old fashioned Christmas tree. It's just not Christmas without it!!! I love all the hand made ornaments that we add to the tree every year. It is fun to look at the as we unpack them every year. Mary, I believe I am fated to win this because my middle name is Joy! My favorite holiday decor is probably lights, because I like shiny, colorful things! haha. I also love decorated trees, themed trees, mishmash trees, carefully decorated or crazily thrown together, they're all good. Can't have the holidays without a tree! oh...it's so pretty!! My favorite decorations besides the tree filled with lights and ornaments would have to be the stockings that I FINALLY made for my family a few years ago...and maybe the advent calendar I am still currently working on :) Thanks for the chance! Have fun with your giveaway! My favorite decoration is the advent wreath. It reminds me to focus on the "reason for the season." Thanks for the giveaway. I guess I would have to say my favorite Christmas decorations are the various ornaments I made for my kids over the years. The first ones were done in counted cross stitch. Lately, I have been doing a lot of wool applique. This is the first year I am quilting them, and I'm using paper piecing. I think they will be really cute. We have pretty limited decorations still, but my favorite this year is our tree. It turned out awesome! Love the Joy, very cool! Thank you! I love all the santa's that end up scattered around the house. There's a tubby one that lives in the kitchen on the windowsill and his friend is a super tall skinny wood one. Odd best santa friends. They make me happy. Hi Mary, Please count me in your giveaway - it is gorgeous. My favourite christmas ornament would have to be the round shiny baubles on the tree. If I win these, they will become my favorite holiday decoration... :) However, my current favorite is my Christmas tree. It is decorated in purple, lime green, and silver with some personal ornaments thrown in. It makes me smile everytime I see it! The letters are great, perfect to add a little Christmas Joy! My favorite Christmas decoration is a swag of Christmas bunting - lots of felt Christmas shapes embroidered and appliqued. Your joy is so joyous!! When I was growing up we had Indian fabric Christmas decorations, peacocks and fishes and bells. Hmm I wonder what happened to them. I just asked Gbf which is his favourite, he said he likes shiny red baubles because he likes to make faces and see his distorted reflection, weird! Thank you for such a joyful giveaway!! What a fabulous giveaway, I could use some joy for the whole of next year actually. My absolute all time favourite decoration is the nativity scene made for me by my grandchildren a few years ago.It was a family effort and there were fights over the sheep that look like white blobs, lol. They are made of clay and hand painted. Your Joy banner is fantastic - and it could stay up all year as it is not too Christmassy. I love lights - we have a small solar set we take away camping in Summer too. My favourite Christmas decorations are the ones my children have made. That is so colorful! I love it. Love it, so cute! My favorite decoration is a hand print wreath from when my daughter was younger. Love this swag, and hope I win. One of my favorite Christmas decorations is an ornament hand made by my grandmother using a cut out egg. It is so wonderful and reminds me of her. just darling Mary...but it has great weight too with those fabrics...i love our Jim Shore nativity scene...the pieces are just kid size and sturdy enough that they *might* not break when dropped...and...they are chunky enough to be glued together when they do! Merry Christmas!! I think this is so adorable! If I received it I would be filled with much JOY too!! I think my little Molly would love it too! Thank you for a chance to win!! mary this is just so lovely you've outdone your sweet self! if i win i'll cherish it each year for ever. ok so my favorite dec was a childhood santa claus that had a spring and hook and hung from our tall ceilings. we used to get a running start when youngsters and grab his boot and he'd spring and go crazy on his little perch swing. so my mother gave this cherished santa to me in college and my ((bloody)) dogs chewed him one day to bits. as i walked them and saw bits of santa come out (yuk) i shed some tears ! oh santa! What a great giveaway!!! My favorite holiday decorations are the ones the kids made at school as the were growing up. We all decorate the tree together and the always talk about the memories those decorations bring back!!! Beautiful giveaway! My favorite Christmas decorations are the hand embroidered ornaments that I made when we first got married. This is lovely!!! My most recent favorite decoration is a felt garland that I made a few days ago. I love it! My favorite decorations are the ones made by my 4 yr old daughter. She has mostly chosen trees and then will glue googly eyes all over them! Thanks for offering such an adorable swag! Oh this would be so fun to win- a special ornament for my Christmas tree from my sweet friend Mary. OK, my favorite ornament is tie- a glass ball- very large, very fragile, that is hand painted with a nativity scene and when it is lit from Christmas lights, it seems to glow. It is beautiful and not on my tree this year because of the little guy. I do not want it to fall off and break if he pulls on the tree. The other one I love is an old glass partridge in a pear tree that was on my grandmother's tree. It is not expensive but it is very sentimental to me. I'd love to hang this in my house. thanks for the chance. I love this!! And I would love to hang it in my sewing area all year long. Thanks for this giveaway opportunity. We are Jewish, so we don't have a tree to decorate, but I do love all the pictures and crafty items that my kids make at school and I display my faves. I'm with others, I would probably keep this up all year long! My favorite holiday decoration is a little mexican nativity set my husband and I got the first year we were married. It's terracotta & painted with bright colors. I absolutely love it! My favorite Christmas decorations are all of my Jim Shore Santas and snowmen-because of the quilting patterns on them! My favourite decorations are all the ones that the kids have made - salt dough stars, pine cones dipped in glue & glitter, CD's covered in glittery things. My favorite Christmas decoration is the tree skirt my aunt made and quilted for me when I got married. Love your JOY. My favorite decorations usually involve snowmen. I'm into letters and snowflakes this year! These would look lovely Mary in my house! I have some carved wooden angels I bought on holiday in Venice - love them because they are beautiful and cos of the memories of that trip! Anything & everything my children have made over the years. garlands garlands and more garlands! JOY is the word of today Mary!! My favorite holiday decorations are the ones my son made while in elementary school. My favorite holiday decoration is anything made by my kids when they were small or by my grandchildren. And I love Santas but they don't count because I leave them out all year. That makes them not holiday, I think. I love your JOY banner. my favorite holiday decoration is the star on top of my in-laws' Christmas tree :) It's bright & shiny and NOT electric! Love this,Joy is my favorite word,thanks for chance to win it.My favorite ornaments are handmade. My favorite decorations are the ones from when I was little, especially ornaments for the tree. My favourite decorations are my moms old Avon wax figures. Their smell brings back memories of past christmases! Love it! I love it! My favourite decoration is a glass angel tree decoration, I always make sure it goes in front of a light so it shines! My favorite decoration is a paper mache angel - I keep it on my mantle the rest of the year and put it on top of the tree for Christmas! well, my favorite decoration would be this if i won! if i don't win it will remain my tree skirt and the christmas paper bunting i made last year. I hang some fancy ornaments from the light fixture in the dining room and that is my very favorite decoration. My advent calendar is my favorite decoration. :) I made it myself and my girls love it so much that I can't help love it too! Favorite holiday decoration is the nativity set and the advent calendar. 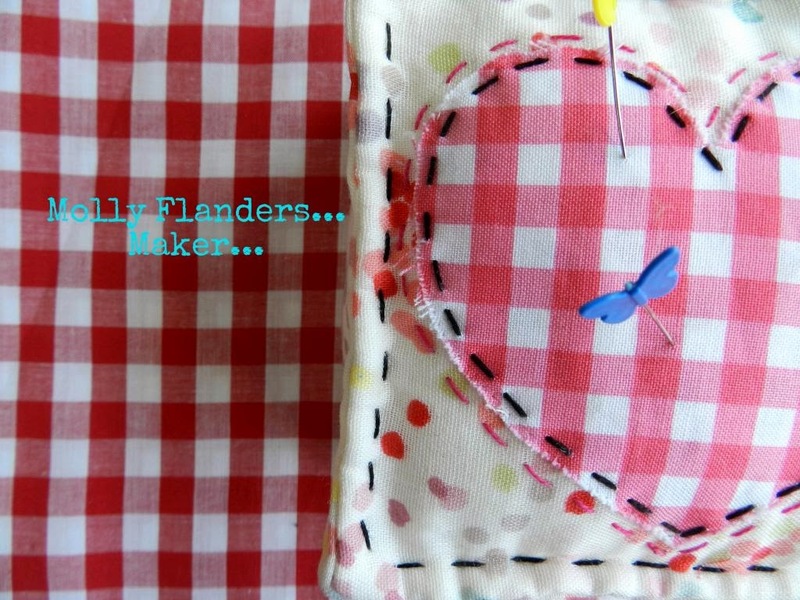 Very nice blog and sewing! Wow! It is so hard to pick my very favorite decoration. I love nativity sets and have collected a number over the years. Love the word "joy" you have created! Thank you for the chance to win!! The christmas tree is my favorite decoration!!! I love these patchwork letters you're making. Very fun. Adorable..favorite Christmas decoration is my aluminum tree! Ornaments my kids have made and our handmade angel that tops our Christmas tree each year are my favorite decorations. Thanks for the chance! This is lovely! at the moment my fav decoration is the Christmas tree skirt i made this year. i love having some beautiful not-tacky Christmas fabric around! Our star on top of the tree! My favorite Christmas decoration is the half-eaten gingerbread man I made for everyone in my family (from a tutorial online) 2 years ago! I really have been meaning to make a christmas banner, but haven't has the chance yet... I like the hogde podge that is our ornament collection... just like the rest of our lives. This is so cute! It would match perfectly in my house!! My favorite holiday decorations are the ornaments on our tree that we bought while we were in Vietnam and in Ethiopia adopting our baby girls! My favorite Christmas decoration are my new Christmas lights. Each light has a silver cookie cutter on each light. So bright and cute! so cute! My favorite decoration is the christmas tree skirt my mom made. My favorite decoration is the ornament we bought and had personalized while on our honeymoon - 15 years ago! Sweet JOY! Well, my new fave ornament is one my (Coast Guard) son and DIL gave us while recently visiting. It is a hand-painted ceramic Christmas tree with little brown bears peeking around the edges. each bear has a Santa hat on and all of our names are hand printed on the white part of the Santa hat. The star on top of the tree has the year 2011.
we have a strange pretend Robin.... he always goes on the tree because he was my Gran's and has been handed down the generations!! my fav Christmas ornament is a set of wooden letters--NOE:. Pretty! My favorite decoration growing up was an ornament with a pinwheel in it that spun when you hung it right over a light on the tree. I'll have to try to get that from my mom! Merry Christmas! My favorite Christmas decoration is a musical ceramic Christmas mouse. It was always on my mom's coffee table as I was growing up and now it sits high in a protected place, waiting for my own kids to be old enough to play with it. Thank you so much for the chance to win, such a sweet giveaway. favorite decoration would be the needlepoint stockings i made for my family, as it expanded, one for the new husband then each new son.Then me of course. Love your letters and all of you work. The gingerbread cookies I bake and hang on the tree every year are my favorite. Your JOY is beautiful - thanks for the chance to win! My favorite ornament is a felt snowman that my mom made when she was pregnant at Christmas time with me! My favorite is a felt-shapes christmas tree bedecked with sequins upon a black velvet tapestry. My grandma crafted it decades ago. It is so retro. LOVE it! Our angel on top of our tree is from my husband's grandmother! Super cute! My favorite decoration is our advent wreath and candles. My favorite decoration is my advent calendar. My favorite Christmas decorations are snowflakes, preferably all glittery. We get 2 or 3 snowfalls here a year, and I can only remember 2 White Christmases in my 29 years. So I pretend. Lovely! I cherish an old mobile from the '50s, which my grandmother always had in her dining room. super cute! I love your blog and will now be following! My favorite christmas decorations are the vintage ones we have from grandparents and the homemade ones! oh boy....this gives me an idea,lol. I love my nativity scene! I got it last year at Hobby Lobby and it has scriptures on it, its made of some kind of fake wood, but it is sooo pretty!!! I love that word. It means a lot to me. My favorite decorations are nativity scenes. I collect them. Love this swag. Your decoration is adorable and I really like your header! Right now my favorite decorations are my little collection of trees and deer that I've put together in a turquoise, silver, white, and dark blue theme. They're pretty together! I love how just that bit of the Eiffel tower is showing. Cool! My favorite decoration is my collection of Christmas snow globes. I have a zillion of them and they always make me smile! My favorite decoration is presents. I love your letters. I think my favorite decoration is something I got at a craftfair this year, it's a Christmas tree made out of marbles, jewelry parts, beads and lights behind the marbles to shine. lovely! my favorite decorations are my sparkly reindeer. thanks for the chance to win! How cute! Now I'm going to checkout more of your blog. I'm sure whoever wins your giveaway won't mind the late post. My favorite Christmas decorations are the felt ornaments I made for my husband and I's first Christmas to cover our naked tree. We have a glass and hand-painted angel that always tops our tree! Somehow she adds that special something that just makes the tree! My current fave was made by a bloggy friend this year - my favicon owl - it's so awesome! JOY is my middle name! Would love this!